After the last three tutorials revolved around optimizing the flow of Glide and improving the user experience, the next few tutorials will be about using callback techniques with Glide. So far, we've always assumed we're loading the images or Gifs into an ImageView. But that might not always be the case. In this tutorial, we'll look at ways to get the Bitmap of an image resource without specifying an ImageView. 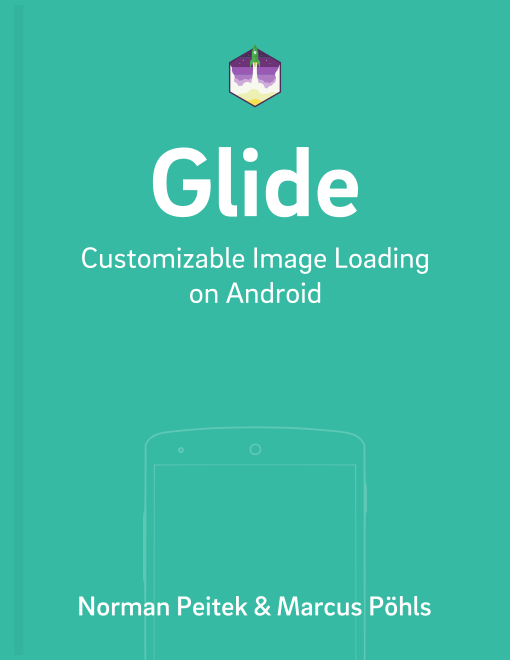 So far we've used the convenient Glide builder to load images into an ImageView. Glide hides a ton of complexity of what happens behind the scenes. Glide does all the network requests and processing in a background thread and, once the result is ready, changes back to the UI thread and updates the ImageView. In this tutorial, we assume that we won't have an ImageView as the destination for the image. We rather want the Bitmap itself. Glide offers an easy way to access the Bitmap of an image resource with Targets. Targets are nothing else than callbacks, which return the result after Glide's asynchronous thread is done with all the loading and processing. Glide offers various kinds of targets while each has an explicit purpose. We'll walk through them in the next few sections. We start with the BaseTarget. .with(context) // could be an issue! We need to override the getSize callback. We're calling cb.onSizeReady(SIZE_ORIGINAL, SIZE_ORIGINAL); to make sure Glide uses the highest possible resolution. Of course, you might want to pass a specific resolution, for example based on a view's size. We'll look at that a little further down this tutorial. The first part of the snippet creates a field object, that declares a function, which is called once Glide has loaded and processed the image. The callback function passes the Bitmap (or a general Drawable, if you don't call .asBitmap()) as a parameter. You can then use the Bitmap object for whatever use you need it. The second part of the snippet is how we use targets with Glide: exactly the same as with ImageViews! You can pass either, a Target or an ImageView, as parameter to the .into() method. Glide will do its magic and return the result to either one. There is one difference, we added the line .asBitmap(), which forces Glide to return a Bitmap object. Remember, that Glide can also load Gifs or videos. In order to prevent a clash between the target (which expects a Bitmap) and the unknown resource on the Internet behind the URL (which could be a Gif), we can call .asBitmap() to tell Glide to only understand the request as successful, if the resource is an image. Besides knowing how to implement a simple version of Glide's Target callback system, you've learned two additional things. As you can see above we're now specifying a size with cb.onSizeReady(250, 250);. The only difference in Glide 3.x to the "normal" target declaration is the specification of the size in pixels: new SimpleTarget<Bitmap>( 250, 250 ). This should give you all the knowledge to implement BaseTargets in your app. The reason we can't use an ImageView directly can be various. We've shown you above how to access a Bitmap. Now, we're going one step further. Let's assume you've a Custom View. Glide doesn't support the loading of images into custom views, since there is no way of knowing where the image should be set. However, Glide makes it much easier with ViewTargets. In the target callback method, we use our created function setImage(Drawable drawable) in the custom view class to set the image. Also, make sure that you noticed that we've to pass our custom view in the constructor of the ViewTarget: new ViewTarget<FutureStudioView, BitmapDrawable>( customView ). This should cover all your needs with custom views. You could also do additional work in the callback. For example, we could have analyzed the incoming Bitmap for the dominant color and set the hex value to the TextView. But we're sure you've something in mind already. In this tutorial, you've learned the fundamentals of targets in Glide. You've learned how to access the Bitmap of an image and how to load images into your own custom views. Did we miss something? Let us know in the comments! In the next tutorial, we're going to continue with examples of targets when we look at how to load images into notifications and app widgets.